I've compared the data fields of both - they seem to be the same...:( At least i wasn't able to find a difference. 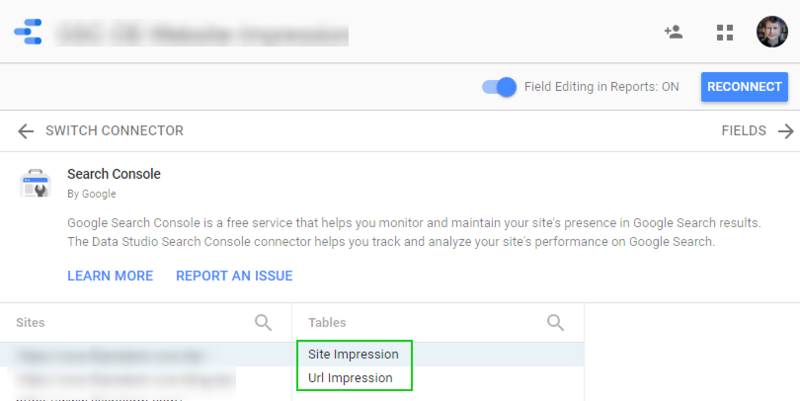 Browse other questions tagged google-search-console google-data-studio or ask your own question. Why do Google search console and Google analytics show such drastically different data? Content Groups in Google Analytics/Data Studio - how to drill down to individual page data? Why is “User-declared canonical” URL different between “GOOGLE INDEX” versus “LIVE TEST” in Google Search Console?